We have specialized trucks with unique features that are available for rental. Customization also available. Suited more for commercial relocation, our movers will transport your all your office equipment and machinery. One way transportation is suitable for the transport of large machinery and heavy goods using our own fleet of trucks. With the widest range of vehicles and one of the largest fleets of lorries, vans and trucks, we aim to provide truck rental services for your every need or requirement. With our years of experience in the transportation industry, we are well trained and experienced in handling precious cargo. Our staff are meticulous and careful and we pride ourselves on our great customer service that we offer to customers. Rentalorry has a wide range of specialised trucks that are available for rental. From water trucks to vacuum trucks, there is a truck to serve your every need. Through our various partnerships with different industries across the island, we are able to provide a wide variety of trucks at extremely competitive prices. These trucks are available for short-term daily rentals and long-term leasing and the prices will vary based on the type of vehicle as well as the period of rental. The trucks are the largest vehicles of our moving fleet and they are more commonly used for the moving of industrial equipment or heavy machinery. We have a team of movers that specialize in the moving of these equipment and they will be able to advice you on the best ways to move your equipment to your new office or factory if necessary. Suitable for the simple transportation services, the one way transport can provide easy transportation services when you need a lift minute vehicle to move some extra goods. Just make a booking through our online form and our staff would get the vehicle to you in a jiffy. Aside from the heavy-duty trucks that we have for rental, Rentalorry also has a whole fleet of other vehicles like 10ft lorries and commercial vans. 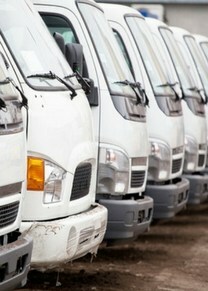 Together, these vehicles are able to help meet the logistical needs of any company. Handling these large trucks is not an easy tasks. That is why we hire only responsible and experienced drivers to assist our customers. Our staff are also trained to handle any queries that you may have and recommend the best vehicle to meet you needs. They also regularly attend training courses to keep themselves updated in order to provide the best customer service for our clients. All our client’s cargo are handled with the utmost care to ensure the cargo arrive at their destination in the same condition they were picked up from.